Fast development and tech progress challenges hospitality industry, pushing modern hoteliers to adopt new technologies to enhance their guests experience and keep properties busy. With Dubai’s high ambitions to attract 25 million tourists by 2025 and the growing numbers of hotel rooms available, local hoteliers are looking for new ways to attract more guests. Leading hotel management system Sihot has partnered with BizGate Marketing & Consultancies to participate in Dubai's Hitec show to showcase its latest hospitality solutions and help industry professionals enhance guest experiences. Developed by Gubse AG in Germany, Sihot is a customer-centered complex technology solution that allows users to manage all aspects of everyday hotel operations. 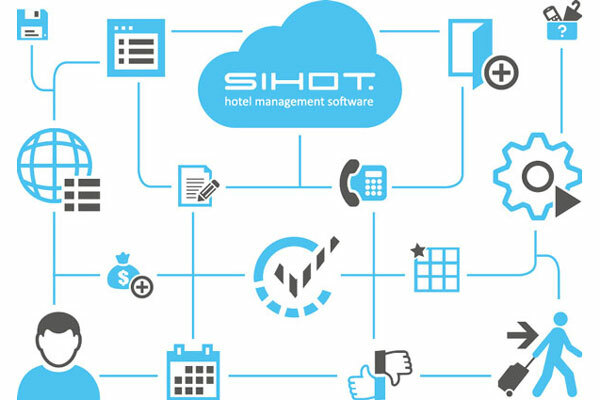 Integrated, innovative, user-friendly software, SIHOT has quickly established itself as a powerful information and management system ideal for hotel use. It combines different modules, from PMS and CRM, to self check-in terminal and web app for the guests, into one manageable application for hoteliers today. “We understand the challenges Middle East hoteliers are facing. We want to help them to manage everyday operation using just one complex solution, as well as staying ahead by adopting the latest tech trends," said David Warren, director of international sales at Sihot.